Over the last two decades, the world of retail has transformed from one led by big box retailers who courted shoppers through coupons and print advertorials or splashy television ads, to one where online commerce takes an increasing share of information gathering and eventually, purchasing behavior. Names like Blockbuster and Circuit City will soon be as quaint as Woolworth, Mervyn's and Gemco - symbolizing a generation of stores that didn't adapt quickly enough to take on more nimble competition, who won on scale and speed. With Christmas 2013 now behind us, the headlines are not just of yes, more shoppers flocking online, mixed in with uncertainty over just how many people were impacted by Target's massive card hacking, but of a completely unexpected surge in last minute buying that doomed shipments by UPS and FedEx, the alpha and omega of delivery systems, connecting the virtual world world with the physical world. But it's clear what's happening. As an increasingly connected Internet populace abstracts the physical world of commerce to an online shopfront, so too vanishes the perception of physical limitations - such as distance, time, and weight. We are progressing toward a world of "now commerce", where we can order it now, and expect the results practically instantly. The end of 2013 shows we're getting closer, but the system's not yet quite ready for the pressure, even if consumers are. Simply put: Nobody expected everyone to wait until the very last minute to order Christmas gifts, but everyone did. As UPS told BusinessWeek: "We had our peak projections, and the volume has passed our projections." So all the models failed. Web giants like Amazon and eBay learned over their young existence to do whatever possible to keep their sites up and keep transactions flowing. 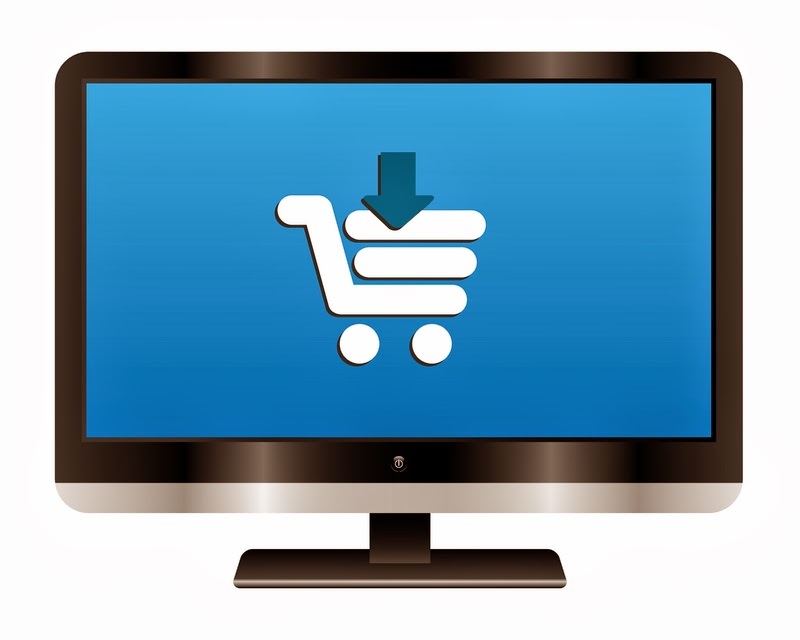 Slow load times, inaccurate shopping carts and price mismatches can sap users' patience and reduce trust. So they've prepared for massive amounts of scale - leading to Amazon's supporting upward of 426 transactions a second at peak time, without crashing. But it becomes even more challenging to prepare a physical delivery system like UPS or FedEx for scale of 2 to 3 or 10 times expectations, which is where the system broke, and barring big changes, we should expect this again. 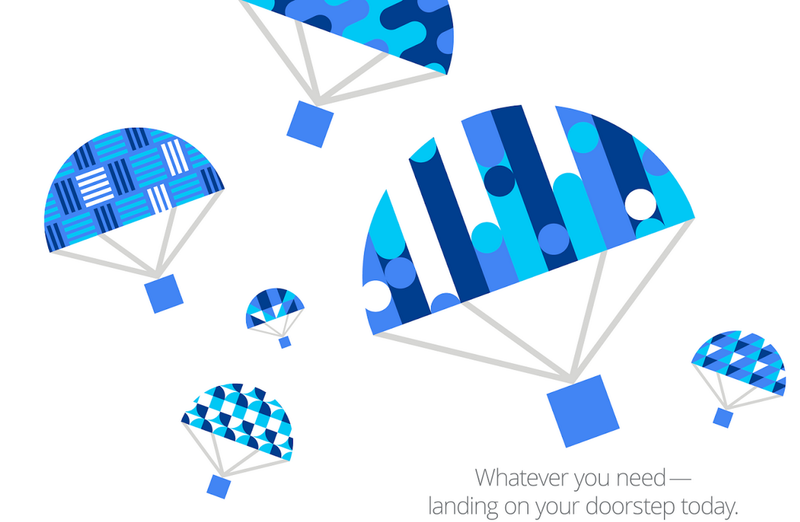 Take a look at two notable bits of news from two big players in 2013 - the first being Google Shopping Express (disclosure: I work at Google) and the second being Jeff Bezos' announcement of shipment by drones. The promise of both? Even faster fulfillment to customers. In Google's case, they've partnered with retailers in the San Francisco Bay Area to ship under the Google Shopping Express brand, and deliver in specified time windows, just like Safeway.com or traditional meal delivery. Amazon's promise is to take its already fast Prime shipping down from a few days to possibly a few hours. Now, instead of wondering what day you could get something, you just have to know which hour. Four-plus hours from order to delivery at my door. Like many others this Christmas season, I put e-commerce to the test with a last-minute order - looking to cross some items off my shopping list, having them come at the last possible moment, to avoid discovery and reduce clutter in my home. So with the knowledge that Google Shopping Express had a noon cutoff on Christmas Eve to deliver that day, I placed an order just after 11, and selected a time window for delivery between 1 and 5 pm that afternoon. As you can see from the screenshot in my email, the gifts were delivered just over four hours later, to my door - not only saving me a trip to the store, but providing near instant gratification. Often, one's vision of the tech future is colored by the Star Trek computer - one which responds to voice commands, and can produce physical objects by request. It's been said Google is obsessed with building the Star Trek computer, and innovation like the world of 3D printing makes this vision of virtual to physical conversion seem more possible. But before we get that, we're already seeing a generation of people who expect things to happen instantly. One can instantly turn on Netflix or iTunes or YouTube and see practically any piece of video ever made. One can turn to Spotify or Google Music and get any song on demand and play it on any device, practically anywhere, assuming you have enough bandwidth. We expect it immediately, and growl if buffering makes it imperfect. So you can see this coming, can't you? The consumers are expecting instant gratification. We're getting incredible service when it comes to entertainment. We can order practically anything virtually and delivery windows are tightening. We know what we want, and we want it now. Disclosures: I work at Google, which runs Google Shopping Express and in various ways competes with Amazon. Google also owns YouTube and in various ways competes with Netflix. My house is an Amazon Prime household and our kids watch way too much Netflix. 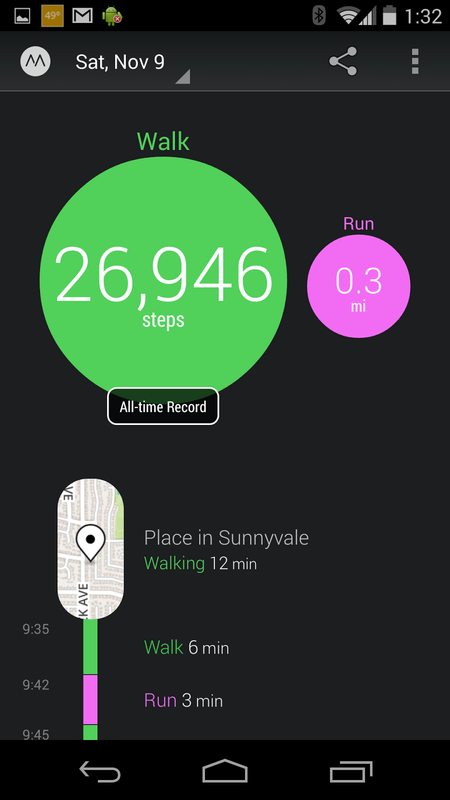 Ever since jumping feet first into the Fitbit fanclub last year, I've been quantifying just about every step, finding excuses to take a walk, parking further away, and generally being more active. I lost 30 pounds from my peak weight, and have found many people doing the same, as we battle on the weekly leaderboard for the most steps. If I don't have my Fitbit tracker on, my activities simply don't count. But on top of my daily Fitbit habit, for the last few months I've been tracking my comings and goings with the Moves app for Android, and have found it a strong companion that tells me information about where I've been, even if it lacks the social component that has Fitbit play such a big role in my need to be competitive. Unlike Fitbit, which requires a dedicated device, be it a tracker or armband, to glean data from your walking, running or cycling, Moves leverages the built-in accelerometer and GPS data from your phone to pick up on your step count. So if you're someone who doesn't want to carry yet another device, and you just want to keep tabs on your own activity, Moves does exactly that. Moves initially didn't get a lot of interest from me for three reasons, after colleague +Scott Knaster introduced me to the app. The first is that when using Fitbit and Moves in tandem, Moves almost always counts 10 to 20 percent fewer steps than does Fitbit, for the same ground covered. Having been a staunch believer in Fitbit's data, and always wanting the higher numbers, Moves lost. Second, Moves always requires you to have your phone on you, so if you run low on battery, your steps don't count. Fitbit's battery goes for days and that's never been an issue. Third, Moves is done in complete solitude. There's not yet any ability to follow people or share with them your activity - which is a keystone of Fitbit's intrigue. With all that out of the way, Moves gets more interesting for what it does do. As I move from place to place, Moves makes a best effort to find destinations along my path. 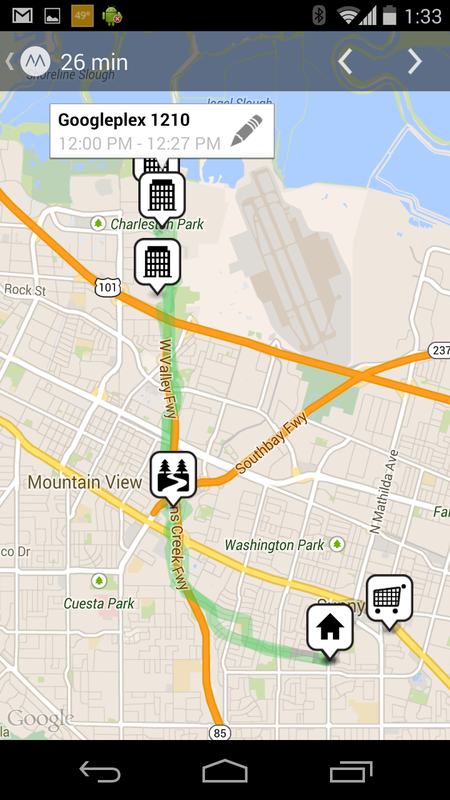 If I go to the office, Moves taps into Foursquare's map data to find the office building. If I am on a scenic trail, again, Moves taps into Foursquare. And Moves is smart enough to know, based on my speed, whether I am walking, running, cycling or driving - which is labeled as transport. 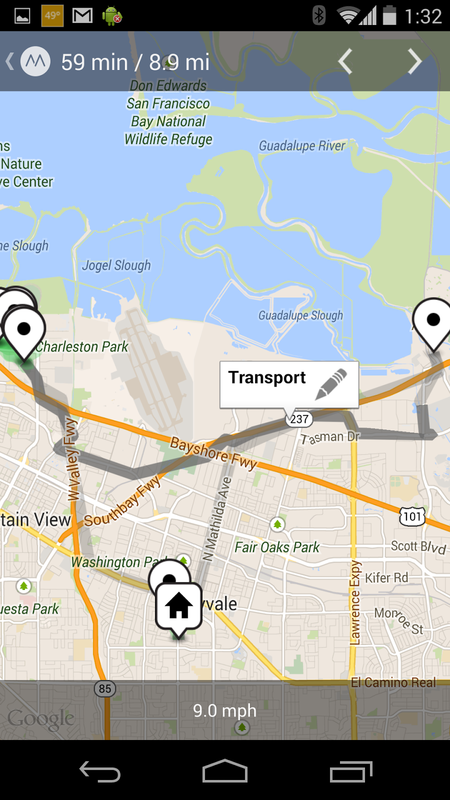 The latter bit, transport, now makes it easier to show my wife just when I left the office, or how long I was in the car, or can be shown to demonstrate just how ridiculous traffic is getting in South Bay with the tech economy doing so well. Two weeks ago, Moves made its first move (see what I did there?) into making their data get out of your phone and possibly onto the Web (like Fitbit) and into new applications with their launch of accounts and connected apps. One can easily see a future with your historical data on the Web or sharing with friends by email or other connected services, including Moves Export, which promises to take the activities you're already doing and take them to RunKeeper or compare with Facebook friends, further bringing the two apps closer. You can find Moves free on Google Play. If you're an iOS user, don't fret, Moves is on the App Store for 99 cents too. It may be double counting for me to track all my steps twice, but as you can see, there's a good reason. Even if you already use Fitbit, check out Moves. And if you don't, there's really little reason you shouldn't give it a shot. Disclosure: It could be assumed Foursquare Maps compete with Google Maps, and yes, I work for Google. But then, I don't see how that makes this post biased more or less. I just like writing disclosures.